In Sedgwick County, two fiscally conservative commission candidates prevailed. 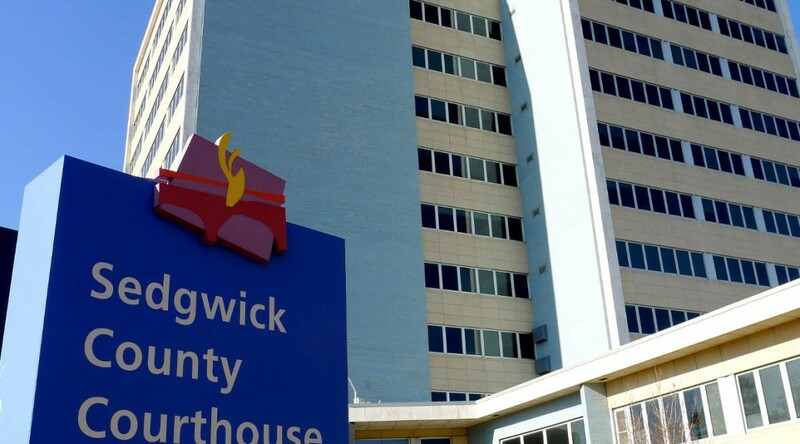 This year three of the five positions on the Sedgwick County Board of Commissioners are up for election. Unlike the Wichita city Council, Sedgwick County commissioners run as members of a party, and compete in both primary and general elections. There can be independent and third-party candidates too. This year for one of the Sedgwick County commission districts the incumbent Republican ran unopposed. But in two other districts, there were spirited contests. In district four, which covers north-central and northwest Wichita, Maize, Valley Center, and Park City, incumbent Richard Ranzau was challenged by Carolyn McGinn. She had held this position in the past, and then served in the Kansas Senate, an office she still holds. Ranzau is well known — notorious, we might say — for his tough line on spending taxpayer dollars. 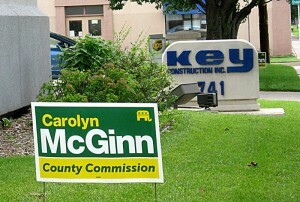 The McGinn campaign had about twice as much money to spend. A lot of that came from the people we know as Wichita’s crony capitalists, that is, people and companies who actively seek handouts from government. 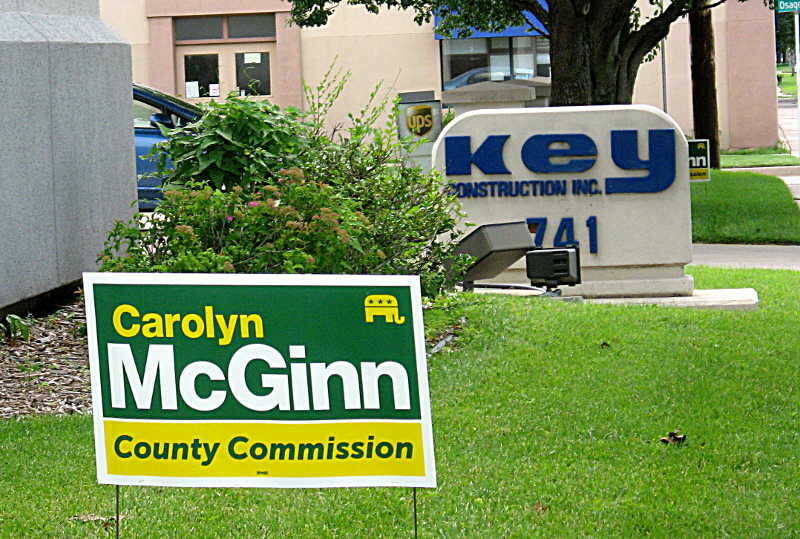 The Wichita Metro Chamber of Commerce endorsed McGinn. Now, you may think of your local chamber of commerce as pro-business. And, the chamber is pro-business, no doubt about it. But pro-business is not the same as pro-capitalism. Being pro-business is not the same as being in favor of economic freedom. Being pro-business is not the same as supporting a limited, constitutional, government that protects our freedoms and property rights. While Charles Koch was writing primarily about the United States government, the same principles apply to local government. And Wichita’s cronies — those who seek profits through politicians and bureaucrats rather than customers — they lined up behind Carolyn McGinn in a big way. By using their generous funding, she ran a negative campaign against Richard Ranzau. He forcefully and truthfully responded to her negative ads, and I’m pleased to say that I helped in that effort. What was the result of the election? Ranzau won with 54 percent of the vote. He now moves on to face Democrat Melody McRae-Miller in the November general election. She held this county commission seat before McGinn, and she also served in the Kansas legislature, in the House of Representatives. There was also a contest in district 5, which is Derby and parts of southeast Wichita. The one-term incumbent Jim Skelton declined to run for re-election. The two Republican candidates were Jim Howell and Dion Avello. Howell has represented parts of Derby in the Kansas House of Representatives for four years. Avello has been mayor of Derby for many years. The Wichita Chamber endorsed Howell in this race. Campaign funds were close in this race, with Howell having a small edge. The result of the election was Howell winning with 63 percent of the vote. He moves on to face the Democrat in the general election, former Rose Hill Mayor Richard Young. What do the results of these elections mean? 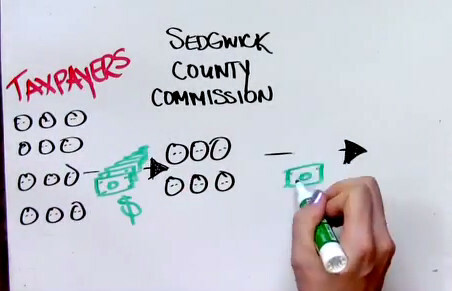 First, there may be a shift of power on the Sedgwick County commission. Currently, commissioners Ranzau and Karl Peterjohn are often in a minority of two against the other three commissioners. It’s thought that it Howell is elected, he would often join Ranzau and Peterjohn to form a working majority of three. That could cause a change in policy at the County commission, and that’s something that the Wichita chamber and Wichita’s cronies don’t want. It will be interesting to see who the chamber and the cronies support in the general election, Ranzau or the Democrat. In 2008, when Peterjohn ran for his first term, the Wichita chamber campaigned against him, making it their most important priority in that election. For this shift to materialize, both Ranzau and Howell must win their November elections. 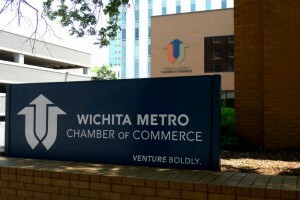 Ranzau’s victory is a defeat for the Wichita Chamber of Commerce. Besides endorsing McGinn, it made independent expenditures in her favor. This has broader implications than just one county commission district. This week the Wichita City Council voted in favor of placing a sales tax issue on the November ballot. The Wichita Chamber is strongly behind the sales tax in Wichita, and I would expect to see the chamber devote a lot of resources campaigning for its passage. Richard Ranzau is opposed to the sales tax increase. While his county commission district encompasses a lot of territory that is outside the City of Wichita, and it is only Wichita voters who will decide the sales tax issue, I think we can safely conclude that his victory paints a gloomy forecast for approval of a sales tax. Looking even farther to the future. Ranzau’s county commission district overlaps part of Wichita city council district 5. That is currently represented by Jeff Longwell. He can’t run again because of term limits. Longwell is firmly in the grasp of Wichita’s cronies. Could Ranzau’s victory pave the way for a fiscally conservative city council candidate in district 5? That election will be next spring. Also next spring Wichita will elect a new mayor. There are many names mentioned as candidates, including Longwell. What do the victories of Ranzau and Howell mean? What impact will the sales tax campaign and election result have on the spring elections? The Wichita Chamber and the Wichita cronies campaigned hard for Carolyn McGinn against Richard Ranzau. Well, I should clarify: They spent a lot of money on the campaign. Richard himself, his family, and his volunteers worked hard. The desire for economic freedom by Richard Ranzau and his volunteers was a more powerful force than the greed of the Wichita Chamber of Commerce, Key Construction, David Burk, and Bill Warren. Keep this in mind. The Sedgwick County Commission has very little power to initiate the type of economic development incentives that the Wichita Chamber and the cronies want. That power rests almost totally at the Wichita City Council and the Kansas Department of Commerce. Also, the county commission has limited power to stop or object to incentives. Their main voice is the ability to cancel the formation of a tax increment financing district. So if the Wichita Chamber and the cronies are willing to intervene to such extent in the campaign for county commissioner, think what they will be willing to do in city council or mayoral contests, if they see that their grip on the really big cookie jar might be in doubt. Since the departure of Michael O’Donnell for the Kansas Senate there has been no one on the Wichita city council who questions anything the Chamber and the cronies want. Not in any serious manner, that is. We see council members making false displays of pretense now and then, but that’s all they do. I attended my first City Council meeting this week and I was greatly disappointed. Ray Charles would have seen the obvious fact, that despite coherent, well-spoken and coherent presentations advocating a delay of the proposed sales tax et al, or at least a separation of each proposal to be addressed separately, that the City Council had made their minds up. They should have just emailed in their vote. I was particularly moved by the presentation by a young African-American make who expressed his frustration with all the talk about economic development and how, as a life long resident of Northeast Wichita, he has yet to see any development in his community! I guess Ms. Williams does not feel his pain. Why was their such a marked contrast in the audience; that is, three piece suit and ties(pro) and blue collar (against ). For those who are for this I ask a simple question: Why should we provide you with taxpayer monies to address these deficiencies at this time? What have you, the Chamber of Commerce and Economic Development agencies, been doing with the monies you have been allocated in years past? Is this a city level bailout or a money trough?